With iNaturalist, you can submit observations of plants, animals and other organisms and share their location with naturalists on every continent. I have what some would call a healthy obsession with iNaturalist – it satisfies the nerd in me while also being a powerful tool for improving our understanding of natural history and helping us conserve the diversity of life on Earth. In 2017, hundreds of Canadians were introduced to iNaturalist by participating in BioBlitzes across the country during BioBlitz Canada 150, a celebration of biodiversity in Canada’s 150th anniversary year. A BioBlitz is a focused effort to identify as many species as possible within a given area in a set amount of time (usually 24 to 48 hours). BioBlitzes attract naturalists with specialized knowledge of a variety of taxa: plants, birds, reptiles, dragonflies, moths, fish, you name it. It’s an opportunity for naturalists to rub shoulders with taxonomic experts, learn and share knowledge. The main objective of a BioBlitz is to produce an inventory of species present in a target area. Many rare and endangered species have been identified during BioBlitzes. Similarly, some species with historical records in certain areas have failed to be captured, causing concern about their conservation status. 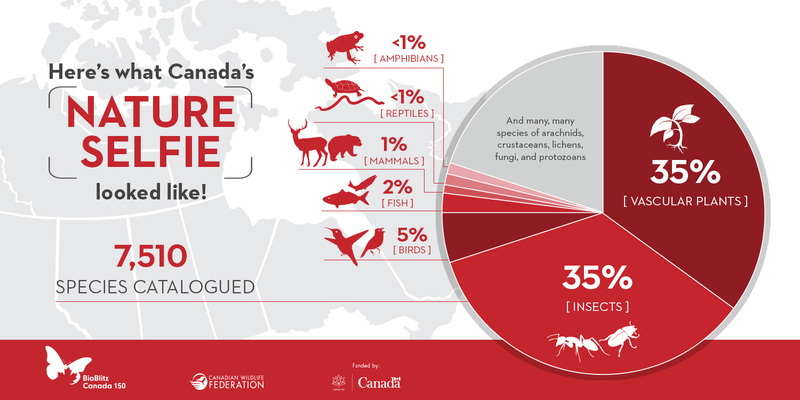 Many of the BioBlitzes undertaken across Canada in 2017 were organized by local conservation groups to gather baseline data about newly acquired protected areas. Others focused on well-known protected areas and significant landscapes with long histories of monitoring, such as national and provincial parks. For my part, I participated on the ground in several BioBlitzes near my home in southern Ontario. But I also participated from afar by identifying thousands of observations submitted to iNaturalist during BioBlitzes across Canada, including the nation-wide Virtual BioBlitz. In total, I identified over 3,000 species’ photos. Why, you ask? Well, the answer is difficult to put into words. I’m a botanist and the biogeography of plants particularly fascinates me. During BioBlitz 150, I identified a handful of plant observations which extended the known range of those species in Canada. 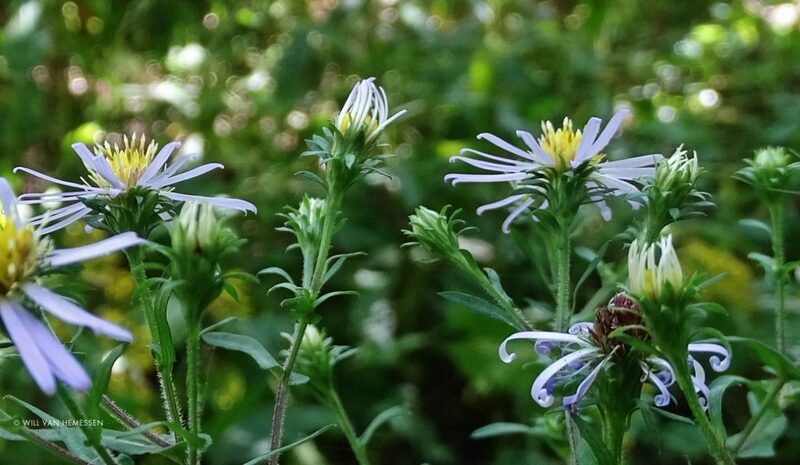 Hundreds of rare and endangered plant species were observed during the BioBlitz, including some previously unknown occurrences. But my biggest reason for participating in BioBlitz Canada 150 was the satisfaction of sharing my knowledge with others. It’s encouraging to be thanked by naturalists across Canada for helping them identify species that eluded them. Some observations were particularly difficult to identify, leading to conversations with other experts until someone finally chimed in with the correct species. This collaborative element is another one of the reasons I love iNaturalist. BioBlitzes are targeted to a particular time and place, and are somewhat narrow in scope. Nearly 40,000 wildlife observations of 7,510 species were made in iNaturalist during BioBlitz Canada 150. But the beauty of iNaturalist is that the BioBlitz never has to end – it is an ongoing, global BioBlitz that I encourage everyone to join and contribute to. 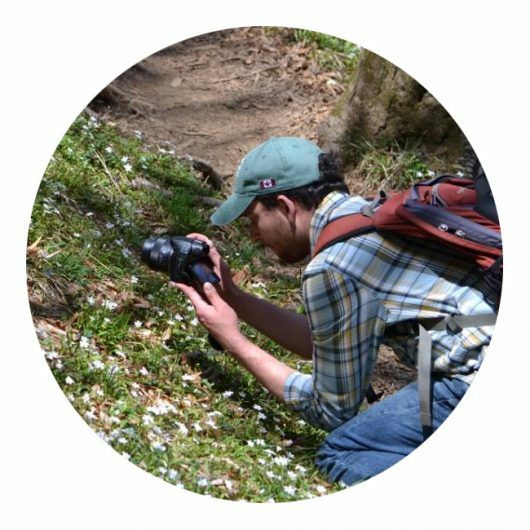 Join iNaturalist to contribute your observations and expertise. 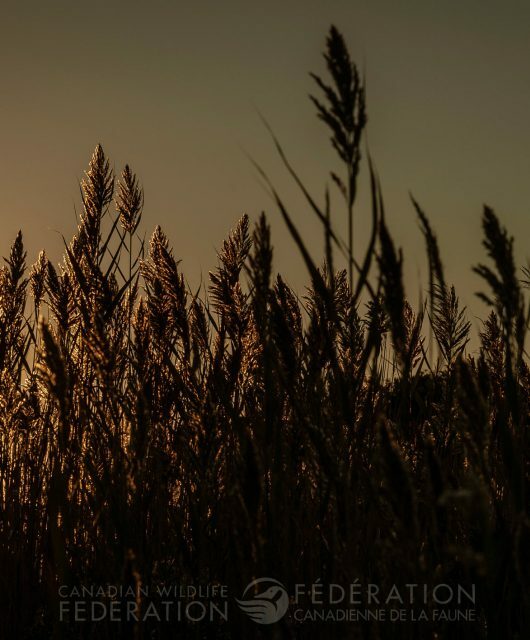 Will Van Hemessen is a naturalist in London, Ontario, primarily interested in botany. He has a degree in environmental studies from the University of Waterloo and works at a consulting firm in London. Will identified almost 18,000 species during BioBlitz Canada 150, earning him the title of Canada’s Next Great Naturalist – Top Identifier. Look for his story in the January/February 2018 issue of Canadian Wildlife magazine.